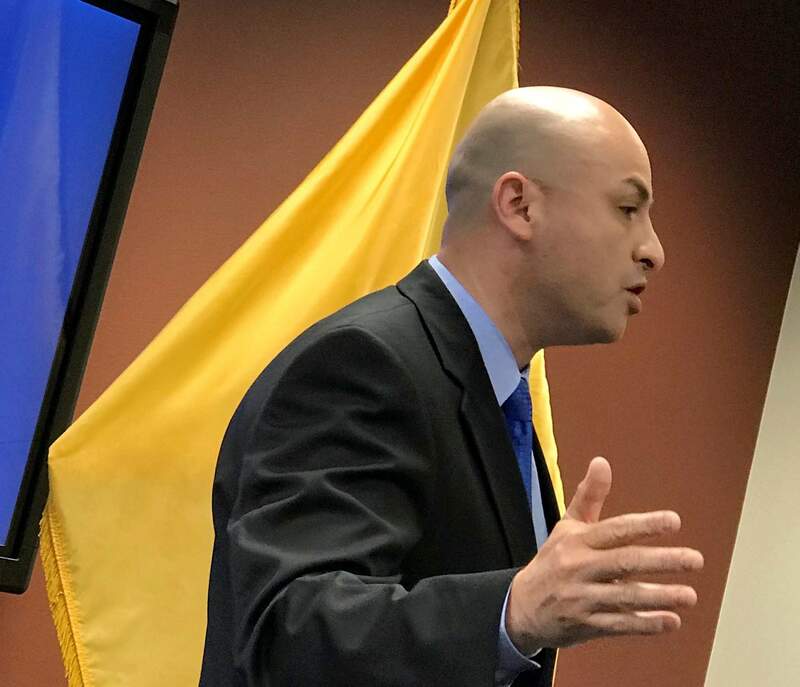 New Mexico Attorney General Hector Balderas holds a news conference Thursday regarding University of New Mexico Athletics in Albuquerque, N.M. The New Mexico Attorney General’s Office says a decision to cut four sports at the University of New Mexico violated the state’s open meetings law and could be invalid. 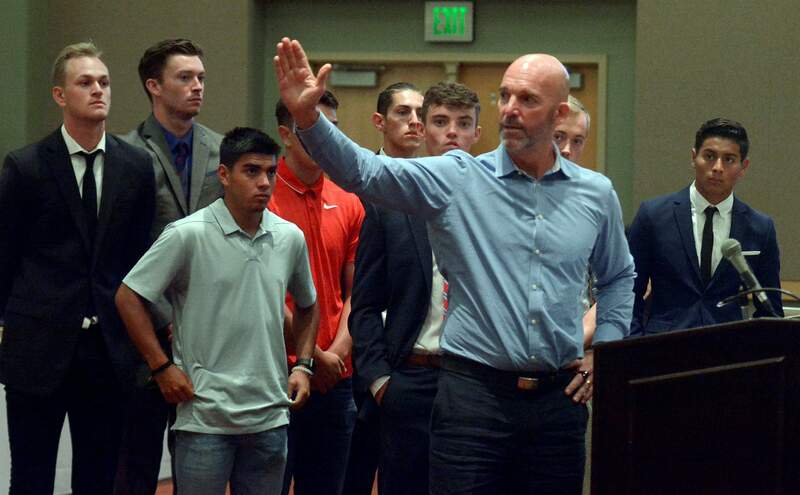 New Mexico men’s soccer coach Jeremy Fishbein speaks to the audience and to regents to argue against cutting the soccer team, during the UNM Board of Regents meeting in the Student Union on July 19 in Albuquerque, N.M.
ALBUQUERQUE, N.M. – The attorney general of New Mexico announced Thursday that his office will take the University of New Mexico to court unless its board of regents reconsiders a decision to eliminate four sports. Men’s soccer has perhaps the highest profile nationally of Lobos men’s sports Teams have twice reached the Final Four and the championship game once. The team is led by head coach Jeremy Fishbein, who is in his 16th season as the Lobos’ head coach. Fishbein coached at Fort Lewis College in Durango from 1992-98. His FLC teams won four conference titles and twice made the NCAA Division II tournament.